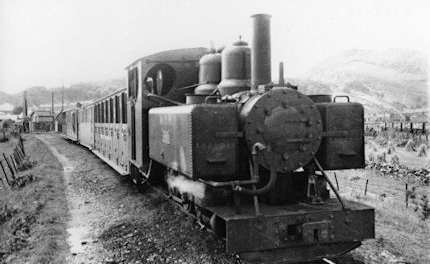 '590' & southbound train at Beddgelert. Toast Rack & Pickering in train. 'Russell' arrived from Dinas. 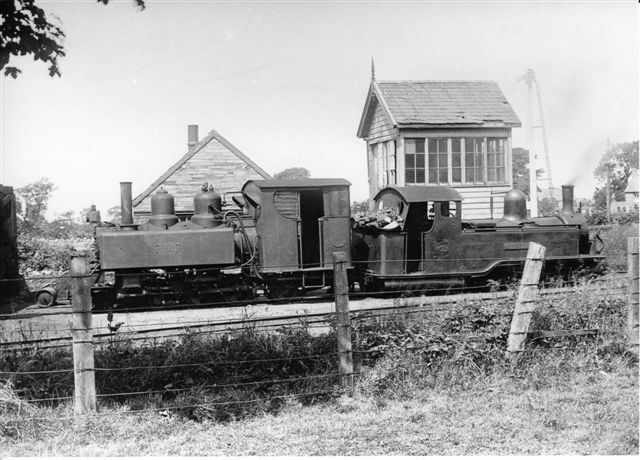 '590' & train awaiting departure from Harbour. Shows guard with 'Bell-punch' apparatus. '590' & 3-coach train with carriages Nos. 26, 23/5 & FR brake at 'Portmadoc New (1931)' - heading north. 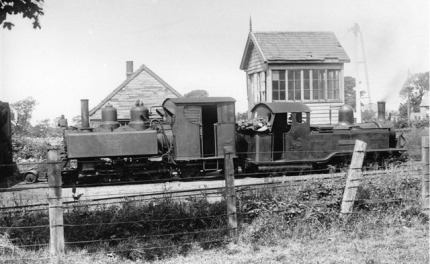 '590' & northbound train at Portmadoc New (1931) station. Toast Rack - last coach. Cambrian crossing & box in left distance.